A letter from Martha Berry to George W. House thanking him for clothing he donated. She encourages him to tell others about Berry so the school can receive more donations. 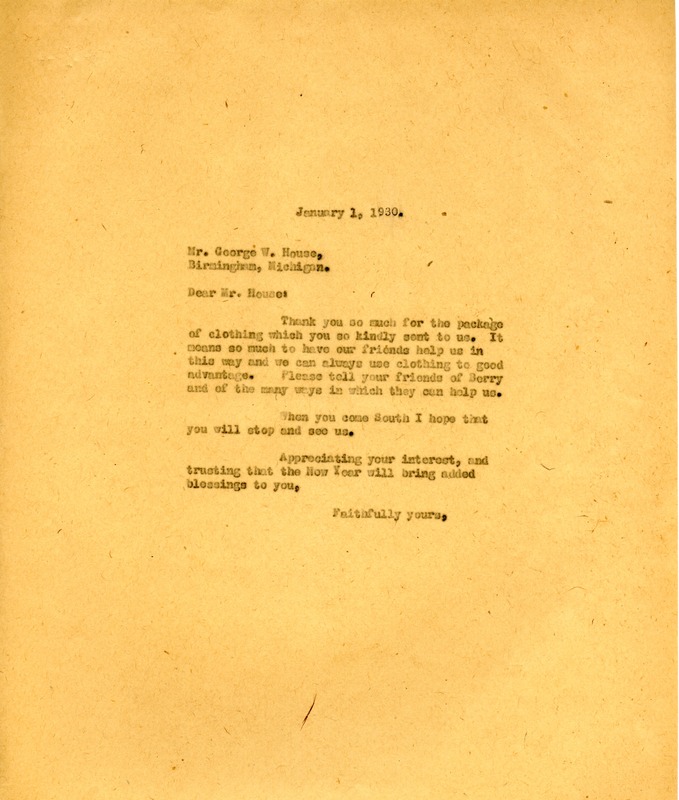 Martha Berry, “Letter to George W. House from Martha Berry.” Martha Berry Digital Archive. Eds. Schlitz, Stephanie A., Austin Amandolia, et al. Mount Berry: Berry College, 2013. accessed April 22, 2019, https://mbda.berry.edu/items/show/12912.